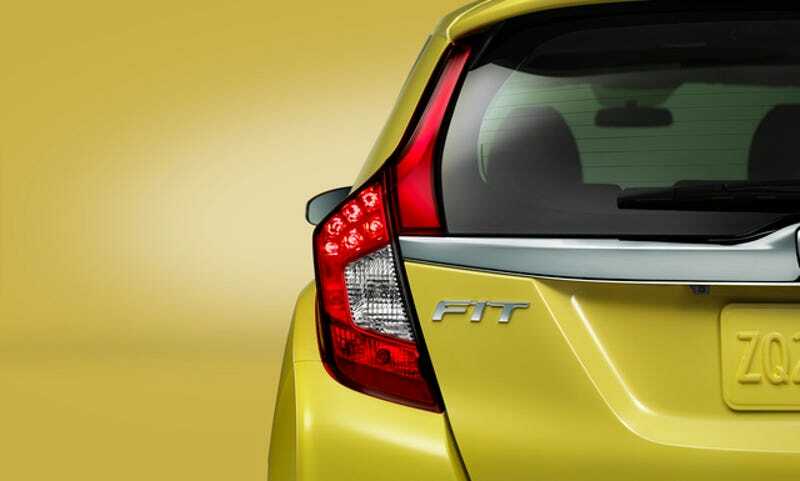 The 2015 Honda Fit is riding a new platform and will bring a hybrid and sportier RS model to the U.S. And even though we already know what it looks like, it makes its official debut at the North American International Auto Show in a few weeks. Honda hasn't told us exactly what will be under the hood in an announcement today, but we know the hybrid model has a 1.5-liter engine mated to a 22-kw electric motor and that hopefully-fun-to-drive RS has a 1.50liter with a six-speed transmission. With the redesign, the Fit is also supposed to be roomier on the inside. The materials used for the interior will reportedly get an upgrade, but I wonder if that'll increase the sticker price. The Fit's upgrades come just on the heels as Ford unleashes the 1.0L Ecoboost in the Fiesta, which has been getting some decent reviews as of late. Granted, that Ecoboost comes at a premium, but who's going to win the fuel-efficiency war between the two?